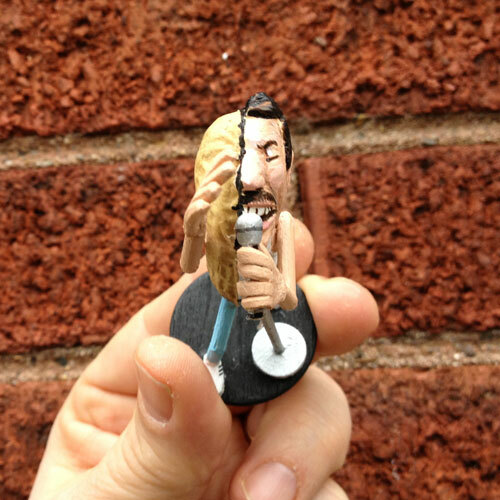 Peanut Freddy Mercury rocks Wembley. 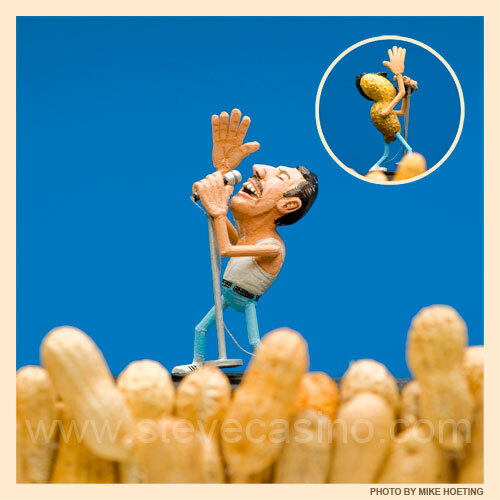 Mike Hoeting skillfully shoots the Freddy Mercury peanut. 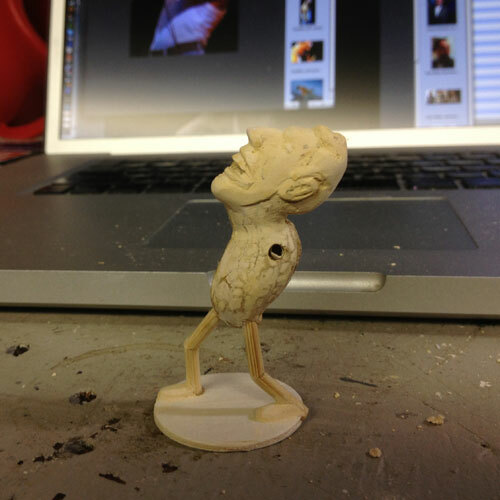 Right side of peanut is purposely left unfinished. 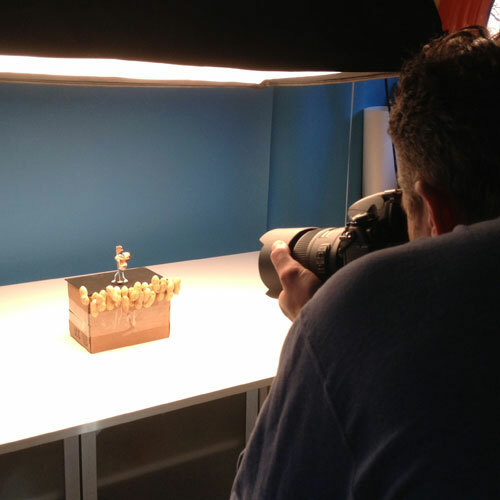 Profile of face is built up using layers of wood filler.